BizOben is a global IT Services provider with extensive experience in providing onsite / offshore consulting services as well as turnkey solutions. BizOben is authorised business partner for selling ERP, SFA, CMMS Solutions of Process Master Technologies Pvt. Ltd.
Red Lotus Pharmtech is a Pharma Technical Services company. 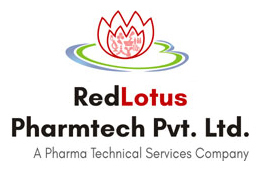 Red Lotus Pharmtech brings in year of collective experience in the areas of drug substance as well as drug product development, analytical method development & transfer, technology transfer, manufacturing, quality assurance & control, regulatory affairs, pharmaceutical engineering qualification and validation. KVS Technologies is a Pharma Validation services provider. KVS Technologies is promoted and managed by Mr. Kalpesh Kumar Vaghela who having 18 years of experience in Pharma validation services like PLC Software Validation, ERP Software Validation, Computer System Validation, 21 CFR Part 11 Compliance Training. KVS Technologies associated with India’s most leading pharma companies for better quality management system, and training on Gamp 5.